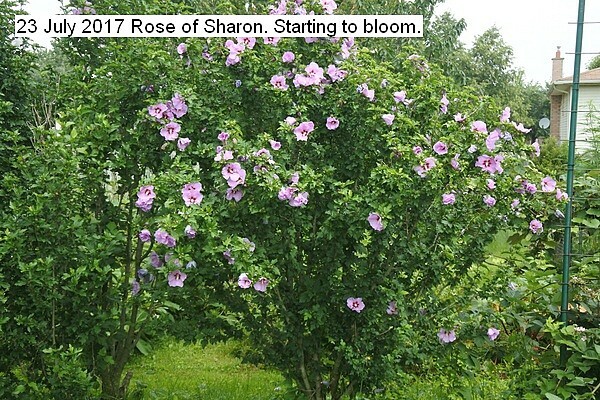 A row of about 7 Rose of Sharon are starting to bloom. These were twig cuttings literally pushed into the ground about ten years ago and kept watered and they flourished. There is a white and a mauve. It is amazing how there is nothing one day and suddenly the whole shrub is ablaze with color. This entry was posted in Uncategorized and tagged Rose of Sharon. Bookmark the permalink.